BabyNaturopathics.com - Erzi Wooden Iron For Pretend Play - Baby Naturopathics Inc.
You can earn 17 bnReward Points on this product! 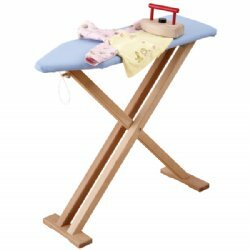 Erzi�Iron�is made of beech wood and colored with�non-toxic waterbased dyes.�Designed and crafted in Germany. Note: price is for iron only.